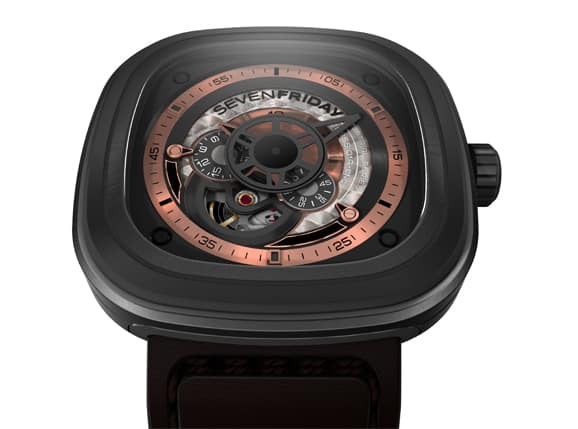 Industry, Architecture, Engines, Design icons – SevenFriday and its products are strongly inspired by those elements. 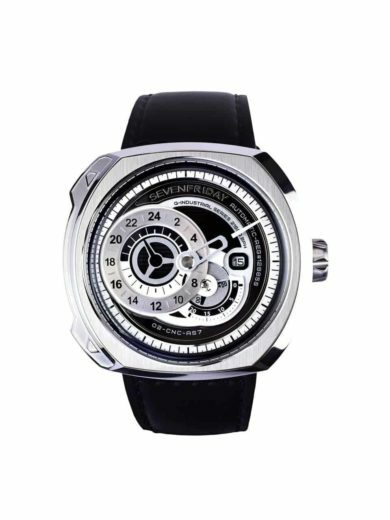 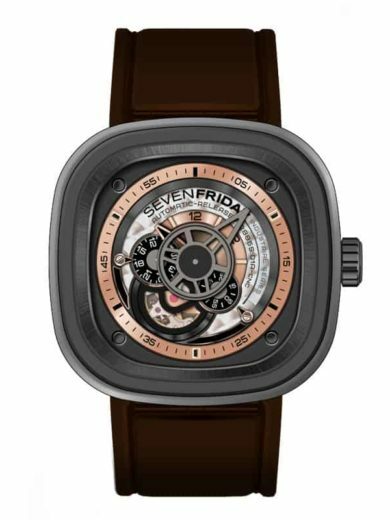 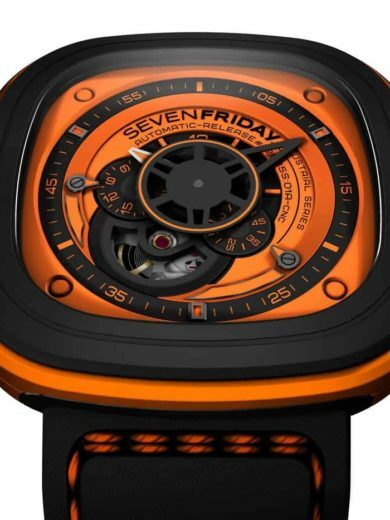 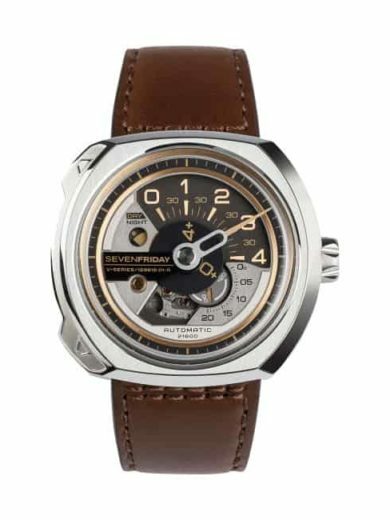 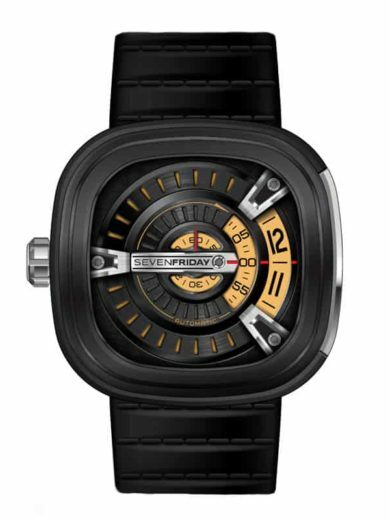 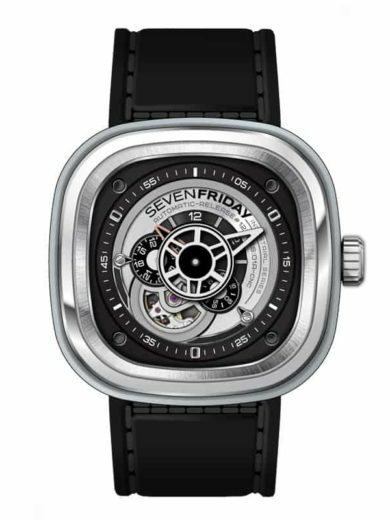 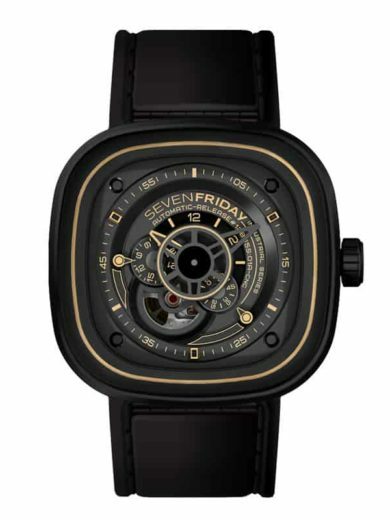 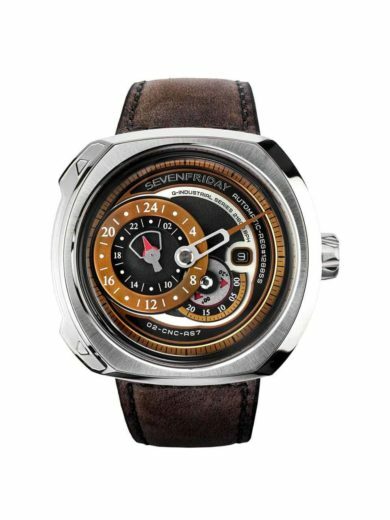 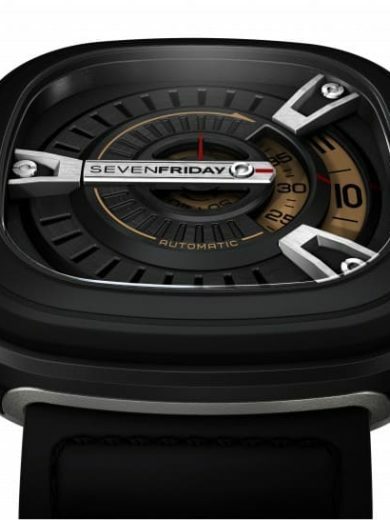 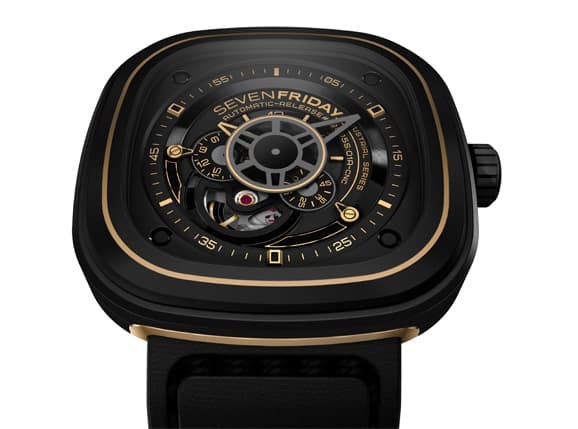 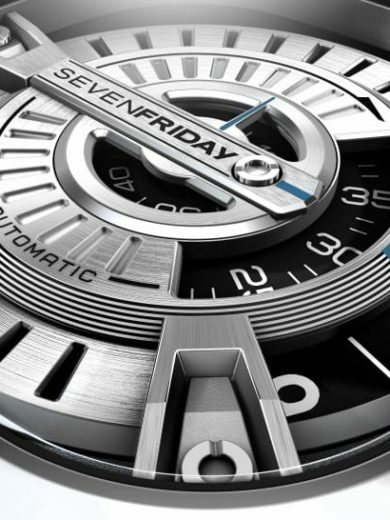 In its journey through industrialization, SevenFriday took its inspiration from machines & robots. 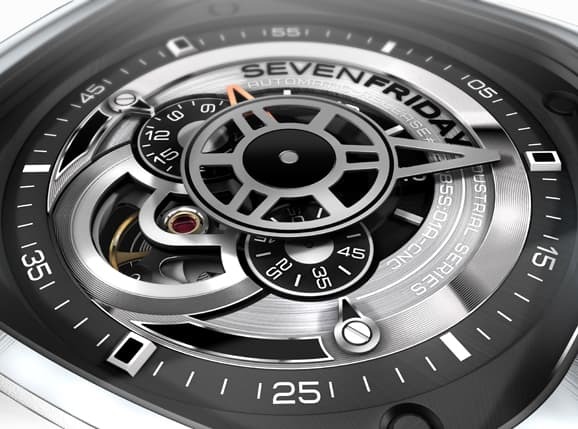 Engineering progress constantly strives for higher performance. 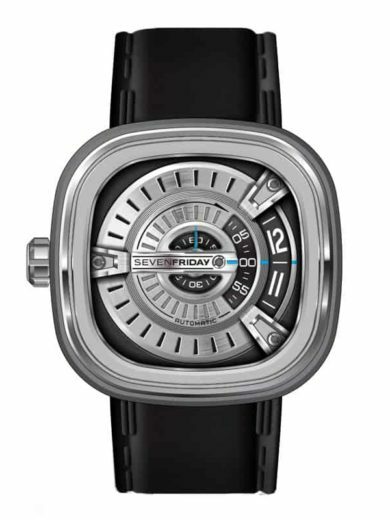 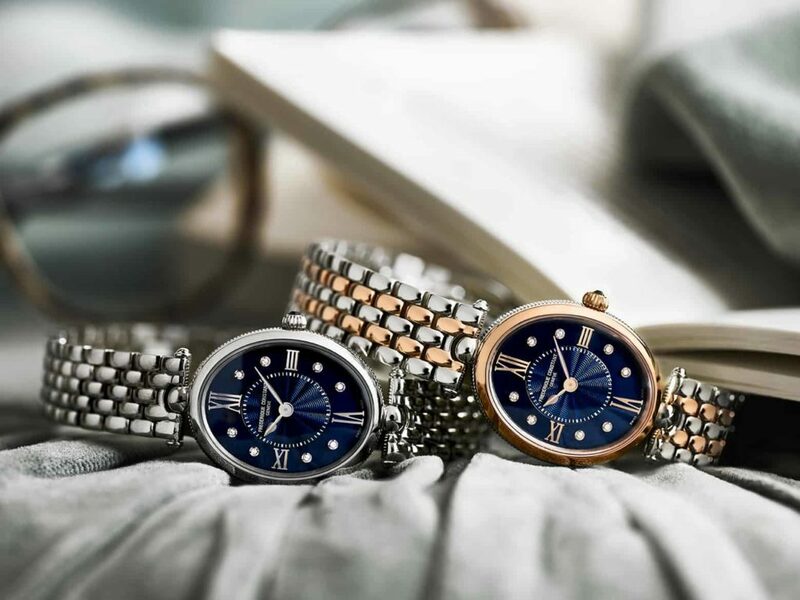 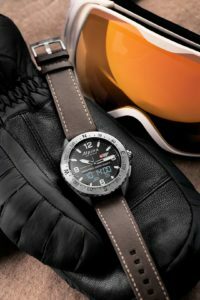 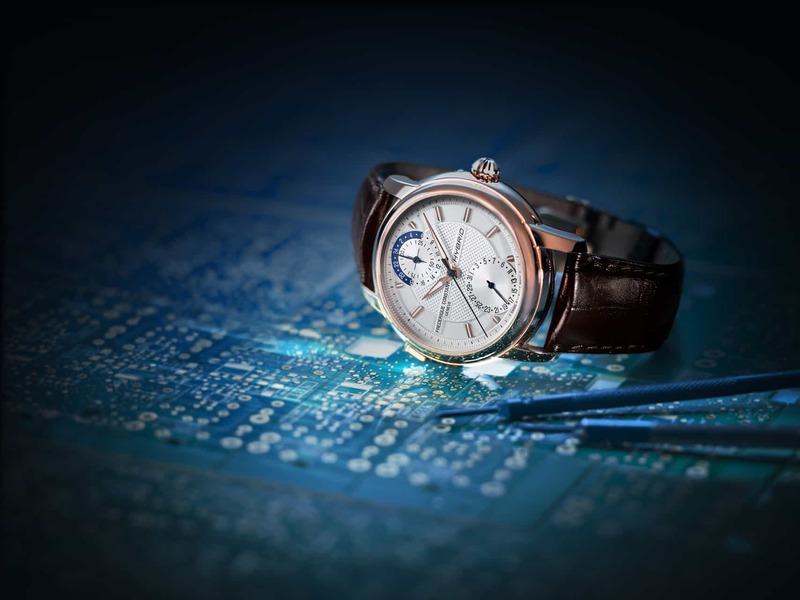 This idea is reflected in the design of the Hours indication as an industrial gauge, creating a new way to read the time. 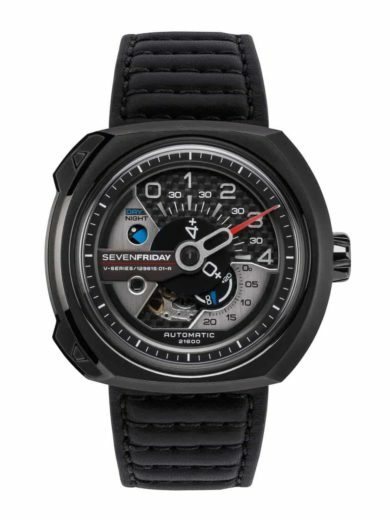 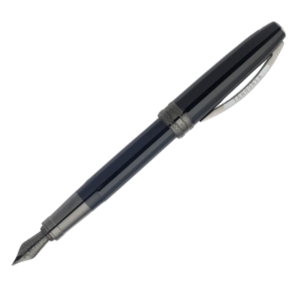 It is the newest addition to the family that previously contained the P- and M-Series. 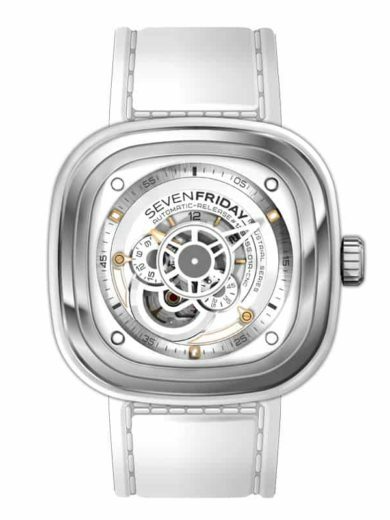 While its forerunners were all 47mm soft-edged squares, the case shape of the V-Series is totally different. 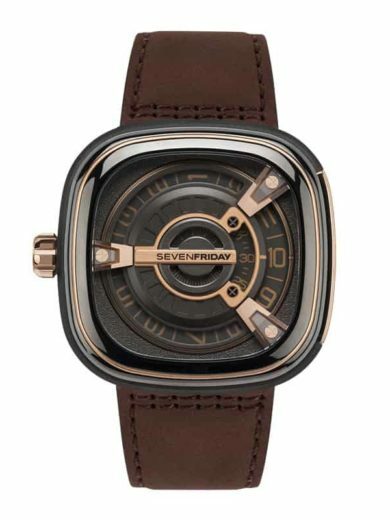 Two left side protrusions, housing a simple-but-smart FSC (Fast Strap Change) system, change the look of this watch entirely. 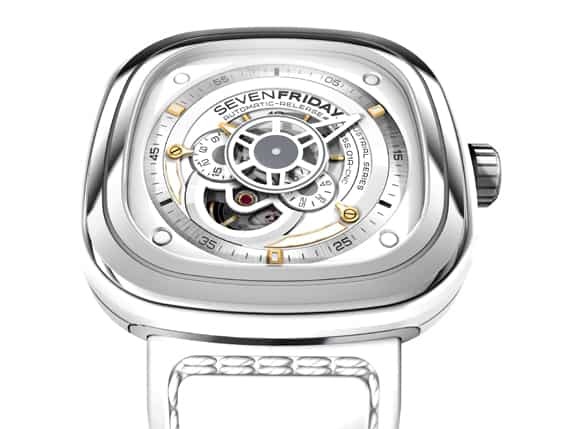 Pyramidal construction of the dial. 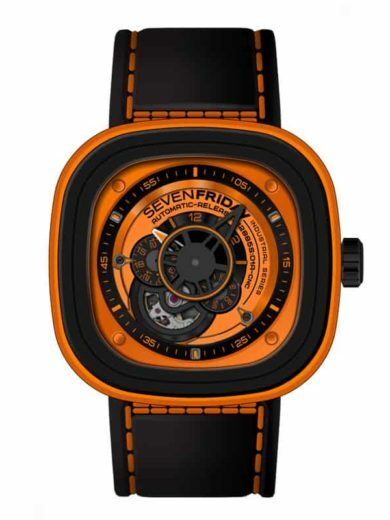 3 customized disc instead of hands. 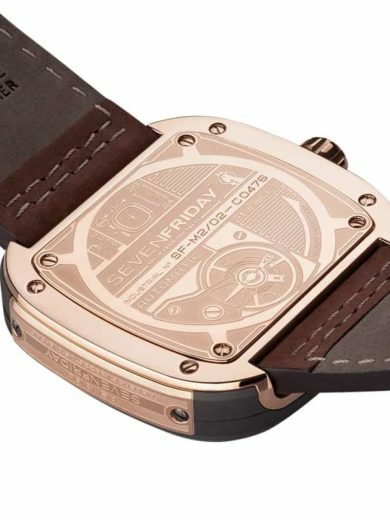 Big solid case for a mechanical movement. 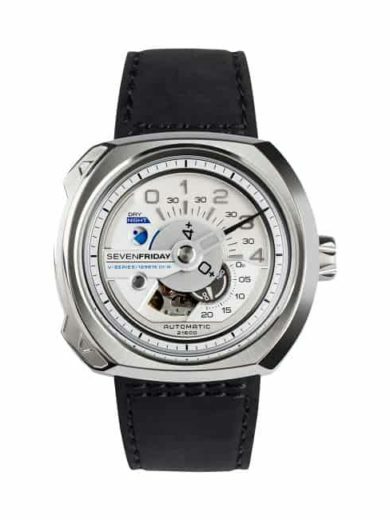 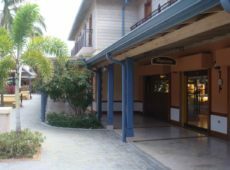 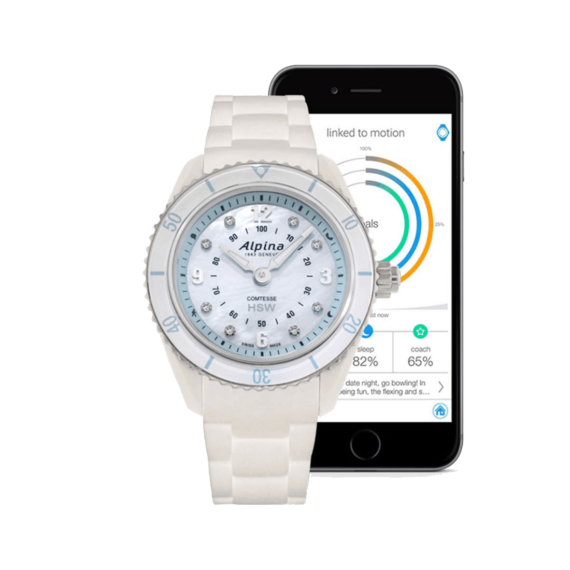 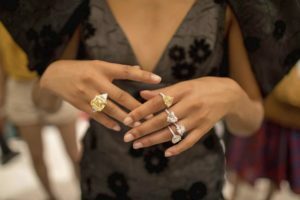 M series clearly target individuals with high demands in regards to uniqueness and quality.